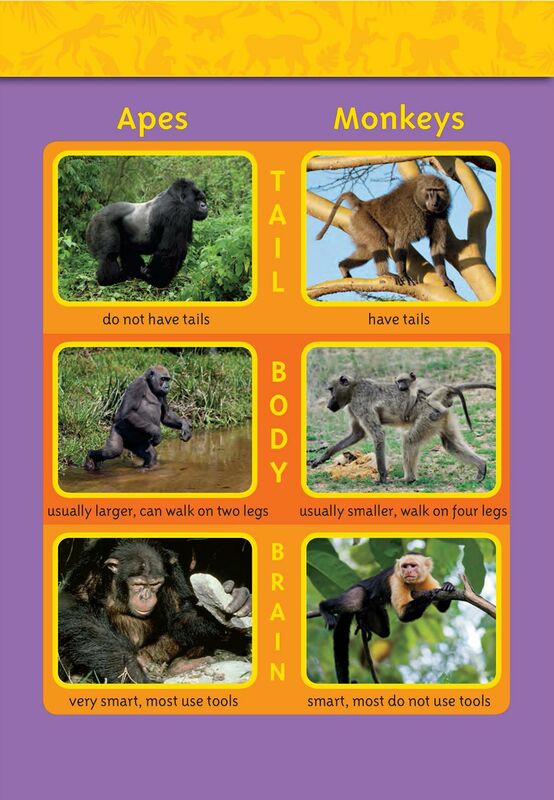 Learn about the differences between apes and monkeys. Monkeys and apes are both primates. Primates are animals known for their big brains. They are smart. Their eyes face straight ahead. Sound like someone you know? Surprise! Humans are primates, too. Humans are in the ape family! Chimpanzees, bonobos, orangutans, gibbons, gorillas, and humans are all apes.